First of all, we wish every one of you an enjoyable Labor Day. Our office will be closed on Monday to enjoy time with our families, but we’ll be shipping out our auction winnings and other purchases on Tuesday as always. In addition, Mike, Gary, and I (John Brush), will be packing up and heading to Long Beach for a day or two in the California sun next week. If you’re going to be there, please stop by, and we’d love to visit with you! This week at DLRC was dominated by a field trip for myself as I had the rare opportunity to take a behind the scenes tour at the Smithsonian American History Museum in Washington, D.C. with former ANA President Jeff Garrett, and a good friend of ours. The Smithsonian Numismatic Collection is an amazing collection of coins and other numismatic treasures. 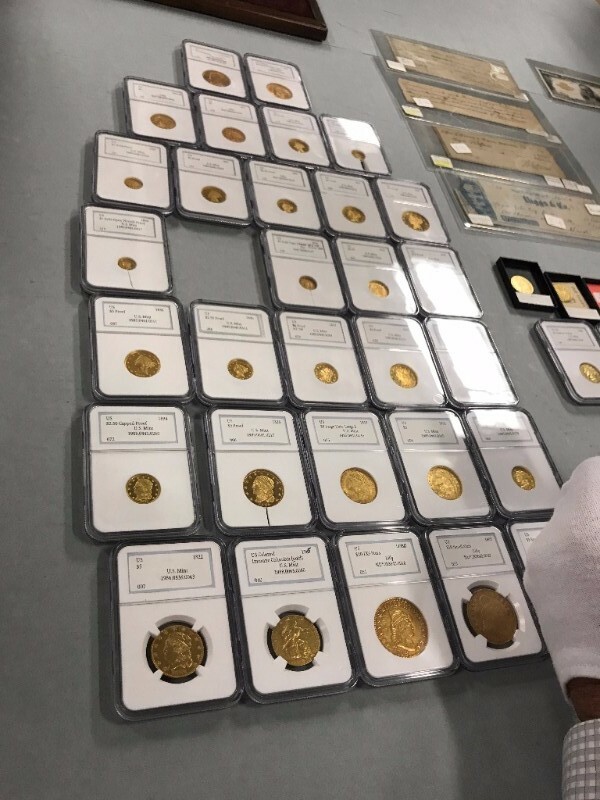 While the Gallery is open to the public and exhibits some amazing pieces like a 1913 V Nickel, a 1933 $20 Saint-Gaudens, a 1907 Ultra High Relief $20, and many other rare issues that tell a fantastic story, there are numerous other treasures held in the vault. 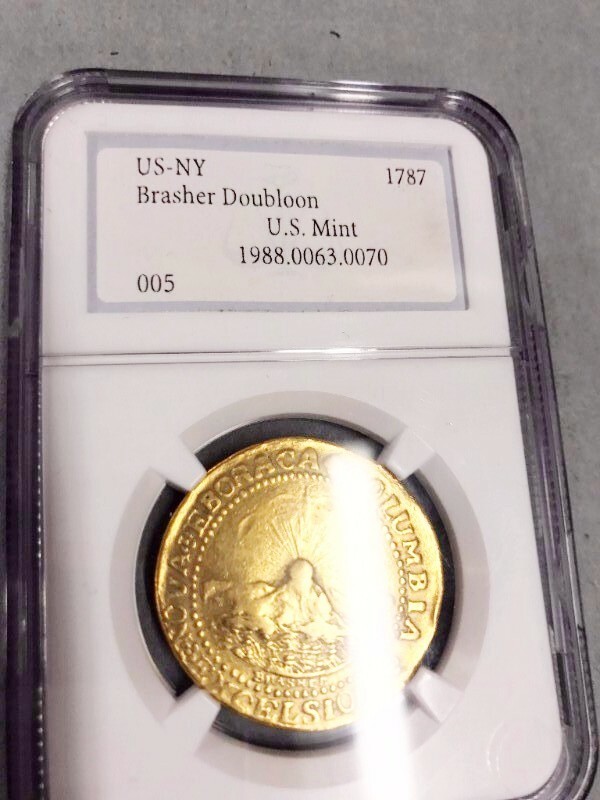 Some of my favorite pieces were a Brasher Doubloon, an 1822 $5 from the Josiah K. Lilly Collection, an 1828 Proof $5, as well as some other amazing issues that simply boggle the numismatic brain. 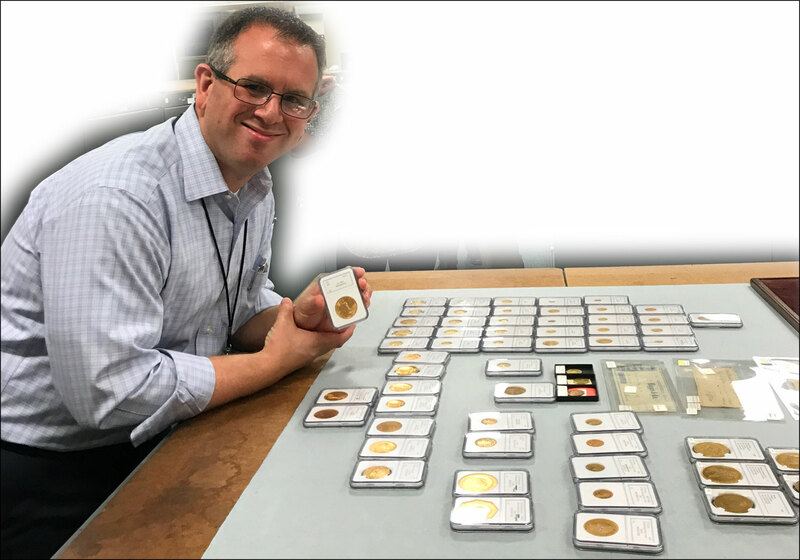 While I would love to spend an entire week in this collection, the truly amazing part is that they have cabinets of proof issues, including two proof issues of nearly every U.S. coin ever produced. It was truly an honor and an experience that I will never forget. Unfortunately, just telling the story of how the short time went and the things that we were able to see don’t cover the emotions and feelings of the experience. It was truly a once in a lifetime event, even for someone who handles coins on a daily basis. Now that I’ve returned and have reviewed the pictures that I snapped between holding coins, I can’t wait to schedule my family’s next trip to D.C. to take in the rest of the exhibits. If you ever get the chance to check out Washington, D.C., no matter the political climate, don’t hesitate to do it. It’s an amazing place, and it’s nearly impossible to walk away without a grander feeling of patriotism and love for our country. Thanks again for indulging on our brief words this week and we hope that you enjoy a few of our coins highlighted before the holiday weekend. 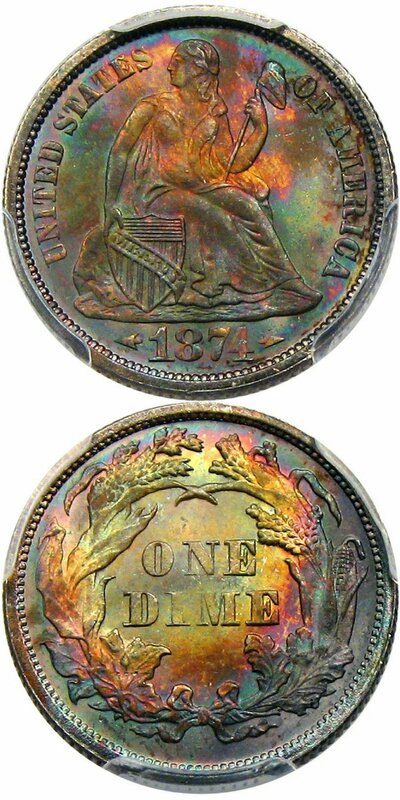 Why we love it: A popular two-year type coin, the 1855 issue is quite a bit tougher to find than the 1854 counterpart, especially in high grades. This superb gem MS66 issue is as nice as you will find, as none are graded finer by either service. 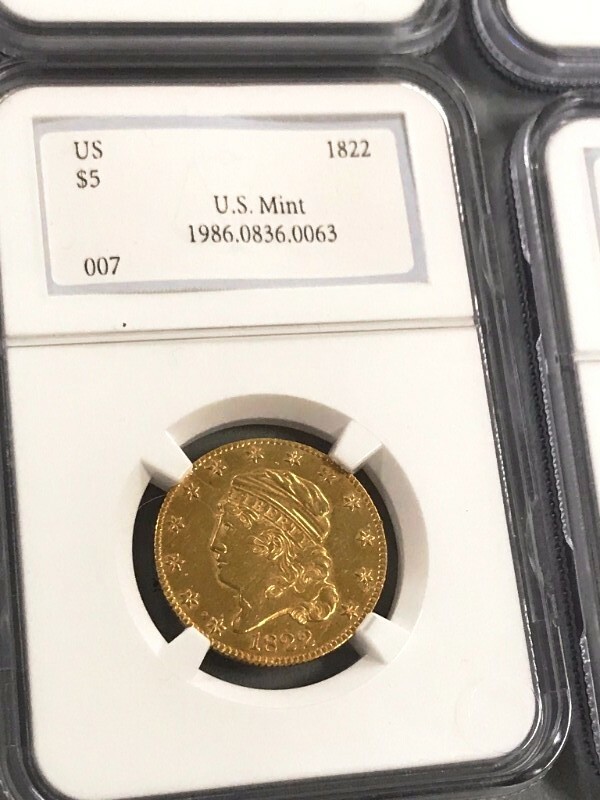 A true gem, and perfect for a type set of better dates or just a great coin to add to your long-term holdings. 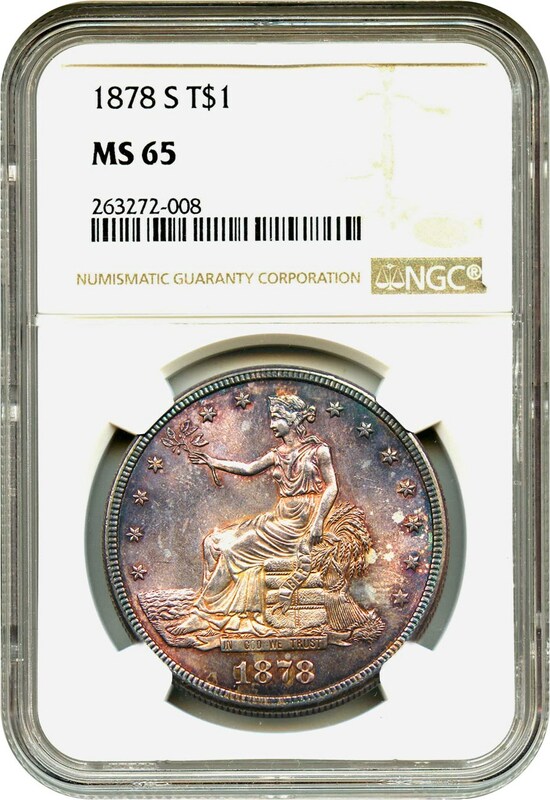 Value: The most recent public auction appearance garnered $37,600 for a non-stickered coin, thus the PCGS Price Guide of $37,500. This piece is nicer than that counterpart and is available in this week’s auction with an incredibly reasonable reserve of just $32,500. Why we love it: We have had the pleasure of handling five of these this past year in VF25-MS63 and are always eager to acquire another. 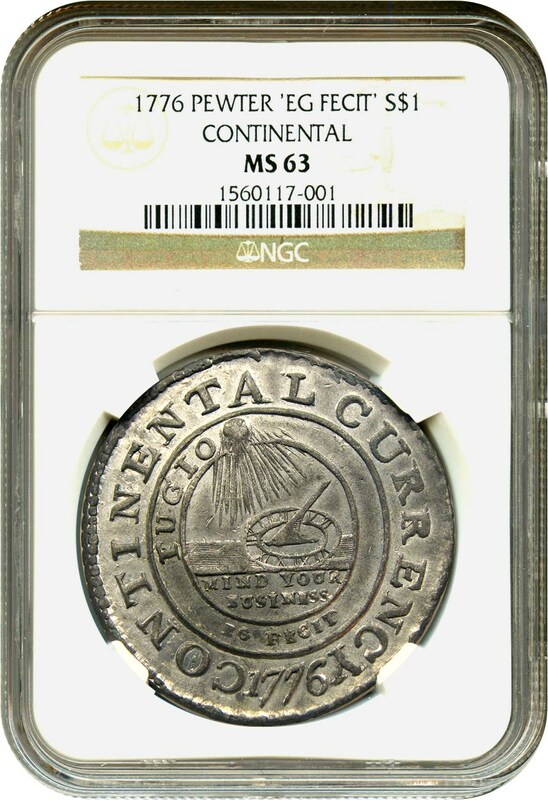 Issued at the birth of our nation by the Continental Congress, these fascinating pieces have a large historical significance beyond numismatics for our great nation. Value: The CDN Greysheet value of this piece reaches the $126,500 level for a wholesale transaction with the CPG Price of $149,300. With a very reasonable reserve of just $145,000 in this weekend’s auction, we would be surprised if this coin did not find a new home. Why we love it: A solid, original example of this low mintage early dollar. Mid-grade pieces like this one have become increasingly more popular and fit well into both type and registry collections. 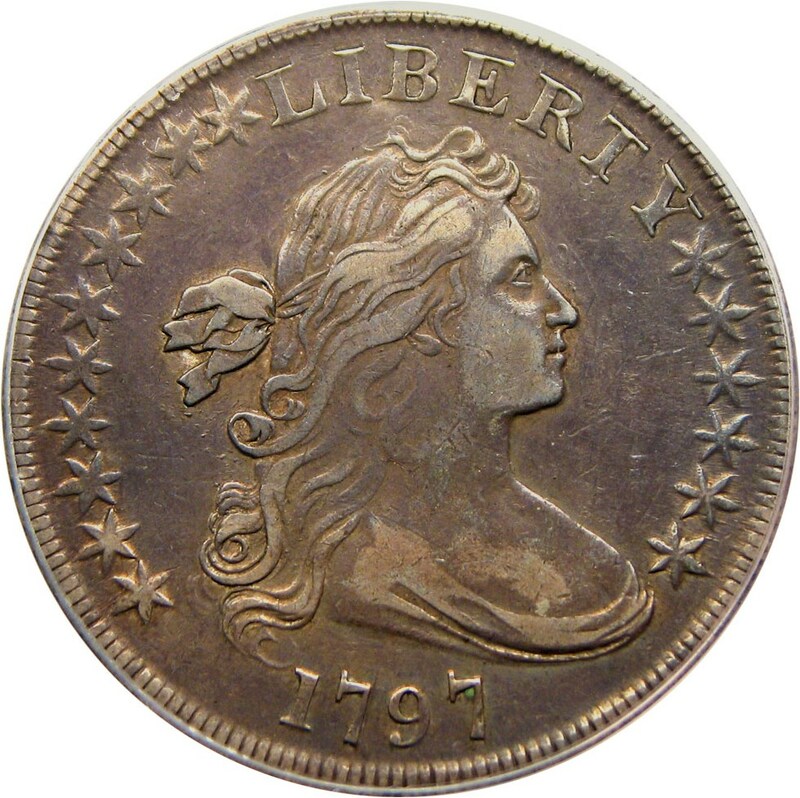 Value: The CPG places this coin at $11,000, and we are offering this historical early American issue at just $9,750 via Make Offer in this week’s CWL. Why we love it: Continuing our theme this week of beautiful specimens, this stunning purple toned Trade dollar is a very pleasing example. A welcome departure from the typical lackluster grey examples that are available for this date. A difficult issue to find in higher grades and certainly tough to match in eye appeal. Value: The CPG places this coin at a price of $8,880 with the PCGS Price Guide at $9,250. This beautiful issue is being offered at a fantastic price of just $6,000 via Make Offer. This may be the most under-priced piece that we’ve offered in a recent CWL issue. Why we love it: The attraction is easy to understand with this color-splashed beauty! After looking over recent auction sales of this date and grade, we were unable to find one as attractive as this. 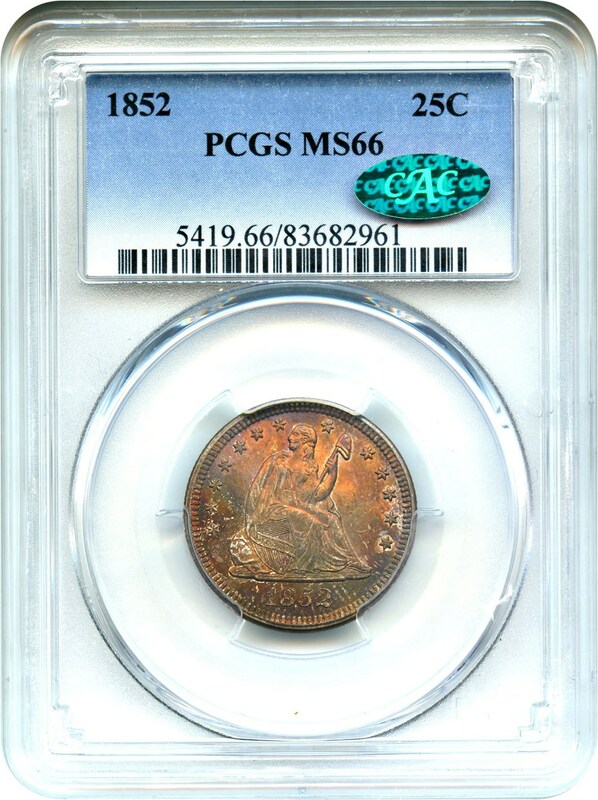 Only six pieces are graded as such at PCGS with just seven higher, this MS67 example combines beauty & rarity at a great value just before a steep price jump. Value: The PCGS Price Guide lists this piece at $15,500. While recent price records are a bit less, in the $10,000 range, you’d be hard-pressed to find a more beautiful seated dime than this one, no matter the date and grade. It’s as nice as you’ll find and available in this week’s auction with a reserve of just $11,500. 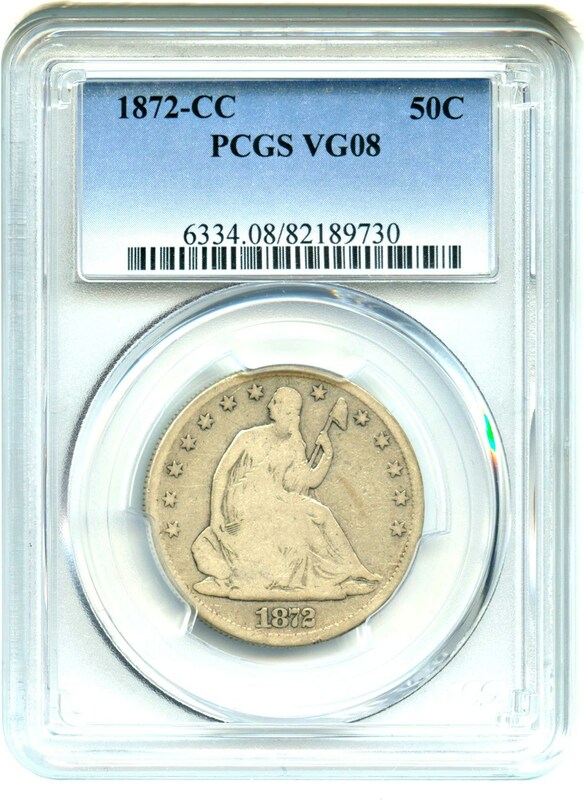 Why we love it: Scarce CC-mint issue with solid details for the grade. Less than 300 pieces available in all grades at PCGS. Value: With a mintage of just 257,000 pieces this is an underrated issue. The CPG places a value of $532 for this particular date, and we are pleased to offer it for a slightly better price of just $500 via Make Offer. Why we love it: Thinking about all the people affected by the devastation and floods throughout southeast Texas, we have selected a Texas commem this week. This superbly well-struck example would fit well into any registry set without breaking the budget. Value: With MS68’s topping the $4,000 mark, the discounted offering price of $925 seems like a wise value. Why we love it: Gorgeous toning, CAC approval and tied for finest graded, what’s not to love?? A truly special piece for even the most advanced collection. 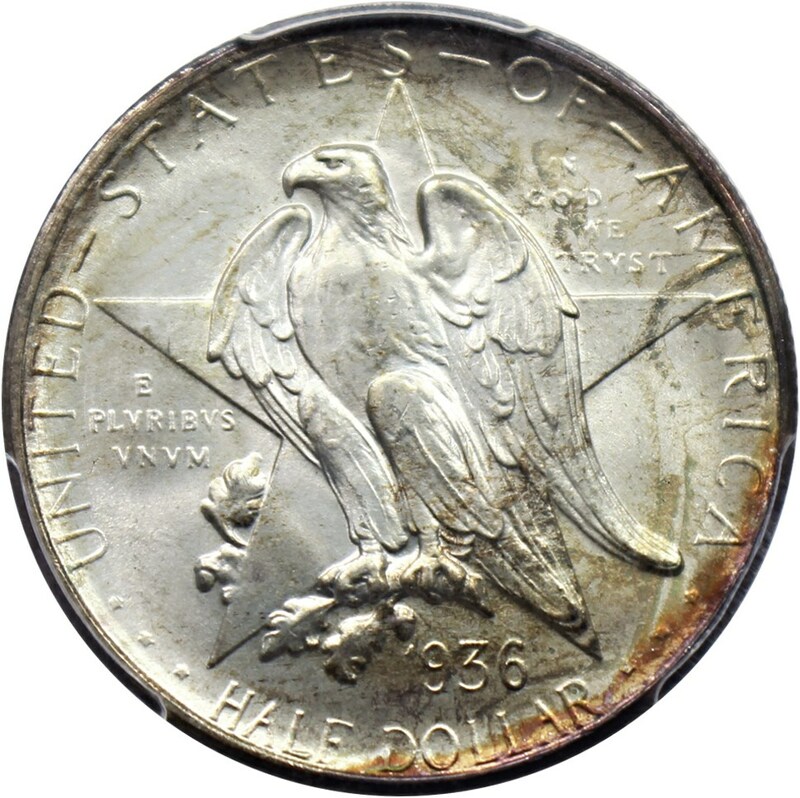 Value: With an even lower mintage of just 177,060 pieces, only four issues have graded as fine as this attractive gem. With a PCGS Price Guide of $16,000, similar pieces have sold in auction recently for over $20,000. This lovely example is reserved for just $16,750 and would be a fantastic opportunity to acquire a rare, registry-quality piece at below all recent records! Auction #978 Lots Posted. Browse & Bid Now! Auction #977 Lots Posted. Browse & Bid Now!